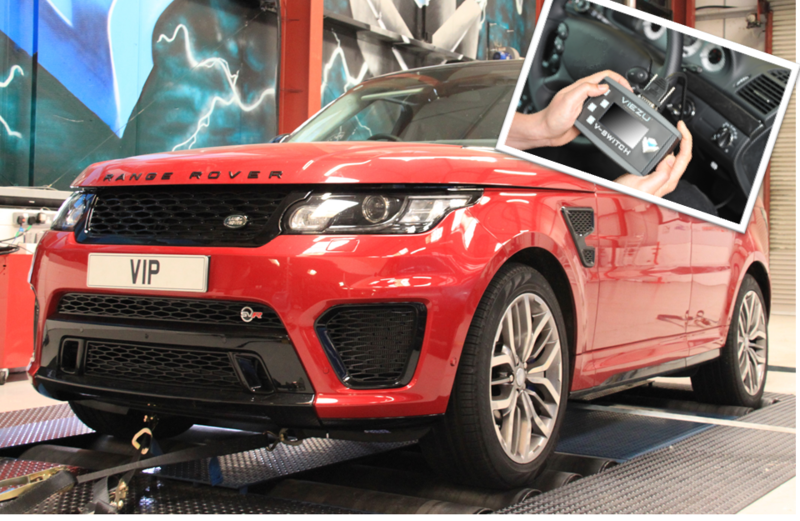 VIP design now offer our super performance Range Rover SVR tuning software on a handy driver operated switchable tuning device, that’s right, you can now tune your own Range Rover 5.0 and Range Rover SVR at home yourself. And that’s not all, not only can you tune your own Range Rover, you can select a number of different tuning levels, and return to factory stock tune atr any time, our driver operated Range Rover and Range Rover SVR tuning is very simple to use and offered unlimited tuning on the same vehicle. The VIP design Range Rover Remapping system means you can up load the VIP custom and bespoke tuned software to your Range Rover or Range Rover SVR any time, you can also select from a number of different tuning levels, catering for other modification or choice of fuel grade for example, even power restriction for when you may not be behind the wheel. 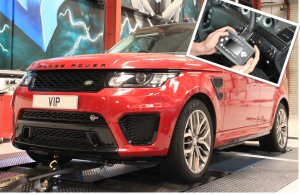 The <a title=”Range Rover SVR tuning” href=”http://www.vip-design click to read more.london/product-category/the-collection/land-rover-styling/” target=”_blank”>VIP Range Rover SVR performance tuning will give an additional 50bhp, and this can be increased to 70bhp if a VIP design smaller supercharger pulley is added. And next month we will be releasing our 650bhp Range Rover SVR upgrade package for those that are looking for a little bit more!